Make friends. Make your kids proud. Make a difference. 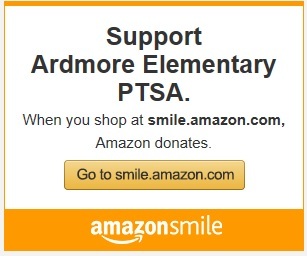 When you join the PTSA, you are helping Ardmore to offer more educational, social, and cultural programming than we could otherwise afford to do. It is only through the time and effort of parents that we can offer additional learning opportunities and family programs. Put on family nights like movie night, games night, or "Skate King Night"
You can join online at https://www.pt-avenue.com/join. Or, you can use a membership application form. These are available in the school office, and payment can be made by cash or check payable to "Ardmore PTSA." Return completed forms and payment to the PTSA mailbox in the school office. You will have voting rights and help decide how our PTSA spends its funds, what programs and events we put on, and what class activities we support. You will be a member of the Washington State PTA and receive a card that will allow you toview the "members" section of the Washington State PTA website, with great resources for parents and teachers. Last but not least: Research shows that kids perform better academically when their parents are involved at school! Being part of the PTSA is a phenomenal way to show your kids that school matters and that you're invested in their success. We value your input tremendously. Please let us know of your ideas to make our PTSA and our school even better! For a list of PTSA Board contacts, click here.